One pair of 18 karat rose gold and silver top earrings. 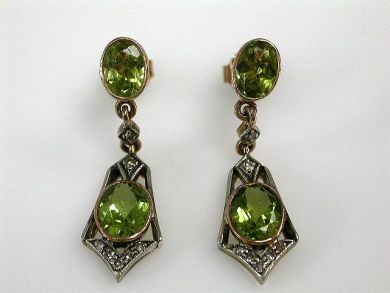 Four peridot (3.98 carats). Fourteen single cut diamonds (0.13 carats: VS-SI Clarity: K-L-M colour).